Traditional Marketing is no longer sufficient to efficiently drive your business growth. With the growth of technology, Digital Marketing is at the forefront of innovation and major growth and the demand for skilled digital professionals is on the rise. 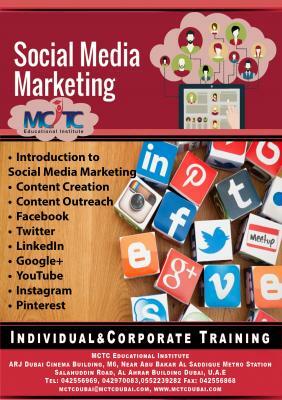 MCTC Dubai's Social Media Marketing course is highly focused on the UAE market requirements and is facilitated by industry experienced professionals! !